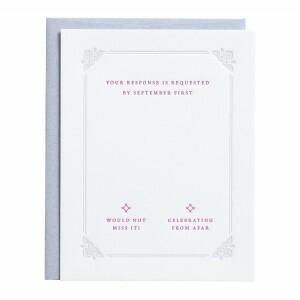 An elegantly ornate border frames the space for guests to select their response as well as express their sentiments. The piece is two-color letterpress printed single-sided on luxuriously thick cotton cover stock with a textured tactility. The Emma Collection embodies a modern approach to decorative typographical arts. Mixing and matching classic and italic type with signature flourishes reminiscent of wrought ironwork, the pieces exude a romantic, old-worldly charm. 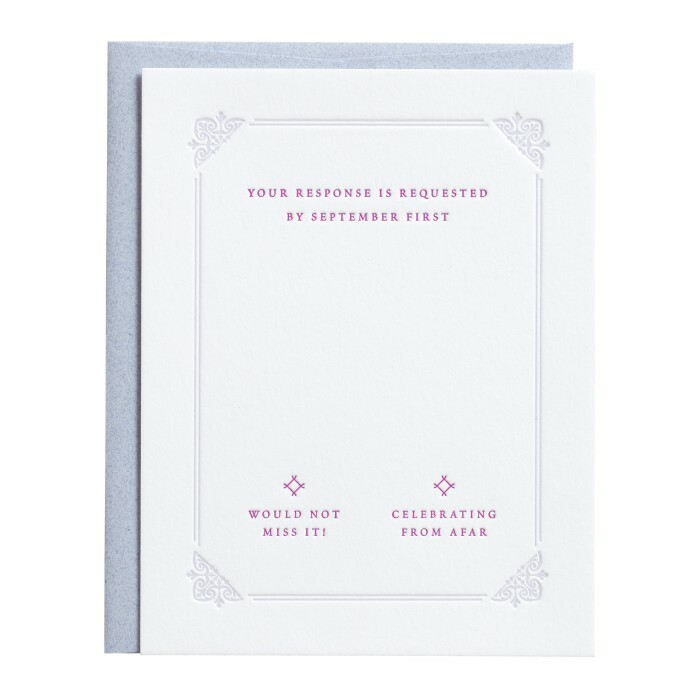 $976 for 100 two-color letterpress printed, or $709 for 100 one-color letterpress printed, or $484 for 100 flat printed RSVP Reply Cards and matching matte colored Envelopes.